Over the past few days I’ve talked about how Skyward Sword‘s aim to get “back to basics” by three main avenues: creating a world with all kinds of things to explore, offering the player ample freedom to discover its secrets, and incorporating the tools to make the adventure feel like a genuine quest. In the end, though, the true core of Zelda is the symphony of all of these elements in one cohesive experience. 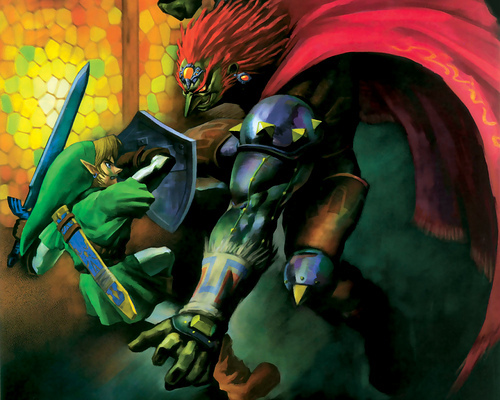 Now, as I wrap up the “Back to Basics” mini-series, it’s time to take a look at the moments in the series’ history that really epitomize that feeling of being a hero in the world of Hyrule. From the very beginning, Link’s role as the hero has been defined by his sword. In the original Legend of Zelda, it was possible to get through the game without ever taking a sword, but who could forget that famous opening line, “It’s dangerous to go alone”? 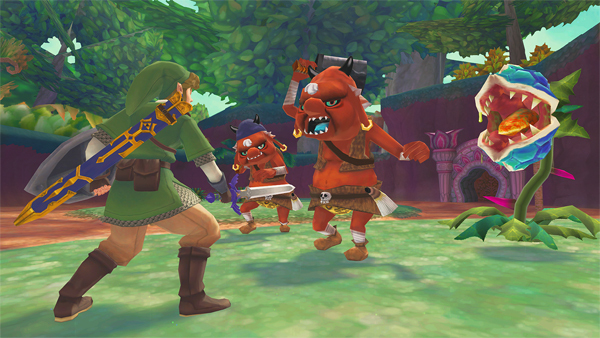 The follow-up, Adventure of Link, had combat gameplay that almost exclusively focused on using the sword, with other skills from magic spells and items taking a backseat role. Since then, the moment when Link claims the Master Sword, the Four Sword, or any of the other various sacred swords of Hyrulean lore has been the major turning point of Link’s transformation into the Hero of Legend. Skyward Sword follows that hallowed tradition by tossing us into the midst of a world torn apart by chaos, with a sacred blade as our foremost guide and protection. With the sword placed seemingly at the center of the gameplay and story, we’re going to have to learn how to wield the Wii Remote against the darkness, mastering its various powers and uncovering its secrets. It sounds rather cliched and may seem insignificant to some, but I feel that the gesture of holding and swinging the remote like a sword is going to be what sets this game apart from the rest. And why shouldn’t it? The act of taking up a sword has always been at the center of the Zelda experience. It seems only natural that the way we play should incorporate that critical symbol, that mark of heroism, through as direct a means as possible. 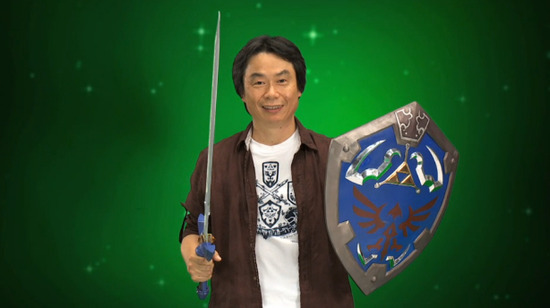 After all, in The Legend of Zelda, we take on the role of Link; we literally become the hero. But what is the mythic swordsman without an adventure in a vast kingdom, battles against evil monsters, and encounters with powerful magic and ancient artifacts? The Legend of Zelda series challenges us to find our way through the Lost Woods, to climb up the dangerous Death Mountain, and to cross the wide plains of Hyrule Field before night falls. Along the way, we happen upon various villages, castles, and dungeons and meet countless characters whose fate rests upon the success of our quest, we buy maps from loony cartographers, find magic crystals that inexplicably increase our vitality, and catch fairies in order to make use of their healing powers. Sometimes our adventures take us into dangerous territory, crawling with Lynels or Moas or Moblins or other such treacherous beasts, and we have to make a critical decision – do we stand and fight or do we spirit away to fight another day? Other times we get lost searching for the way to or through a hidden temple and have to consult our trusty map or the local inhabitants for directions. When a giant boulder stands in our way, we don’t give up; we find a way to remove it, either via portable explosives or bracelets that bestow superhuman strength. Aonuma: [W]e need all the things like story and world design and as we pull these things together we add more and more to make sure people can fully enjoy the game. I feel the process is working, I feel it firsthand that things are coming together nicely. As you start playing and start enjoying the game, all of these elements will gradually fill up your experience, and I think that’s what it’s going to feel like when you play. After 25 years, the series still sends the millions of young heroes who experience each installment on an adventure in a faraway fantasy land where they can take up their swords and save the world from demons. Sure, we may all have our favorite memories of Hyrule, but those memories have their time and place. Each Zelda title is a new experience, and in order to truly become the heroes of Skyward Sword‘s new age we need to let go of our rootedness and our expectations and our nostalgia and take up the sword like it’s the very first time all over again. After all, we’ve got a kingdom to save.